Luca Zingaretti returns as the grumpy and fantastic Inspector Salvo Montalbano for a final season in sun-drenched Sicily. Volume 7 comprises two films, and Volume 8 will follow with two more this year. We’ve missed the bombast, shambles and passion of these exuberant Sicilians, who speak their feelings and command your attention against the eye candy of Rugusa’s seaside views. The delights of Mediterranean cuisine combined with Salvo’s way with women, and the superb stories of corruption, intrigue and betrayal make Montalbano a show of great indulgences, a soap opera more than a crime thriller. The latest episodes, although rife with a kind of sarcasm and contempt for corpses that would send Law and Order’s Jerry Orbach spinning in his grave, throw cases at you like a bricks through windows – an elderly prostitute has been murdered! This film is ironically named A Delicate Matter despite the indelicate manner with which Salvo questions the victim’s retirement plan. The second film, The Mud Pyramid is an investigation into construction cover-ups following the uncovering of a body in a water pipe. 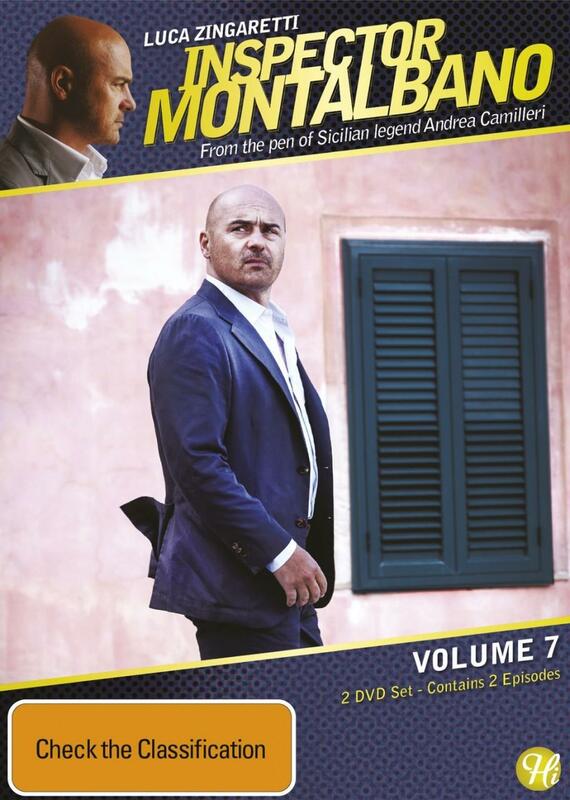 Though Montalbano is inappropriately outspoken, his gruffness has a charm to it. His is a contempt for the state of things, a kind of railing against the system. And while speaking his mind, he can speak to our feelings as well, though we will vehemently deny it! Zingaretti is like a great tenor, and keeps his world at a good pace, never taking an unnecessary pause or dwelling on a piece of information. With Montalbano’s plate full of crime, affairs and pastries as well, Zingaretti balances it all with a cool ordinariness that brings a realism to the soap opera demands of the script. The real star, however, is Sicily. And no matter how many murders, or how often the church or mafia interfere, the island, like Montalbano, is pretty much irresistible. Jemima Bucknell is our Online Fulfilment Manager.